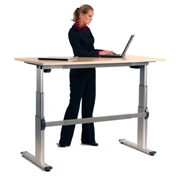 Sit-stand desking is great for health, productivity and your waistline! 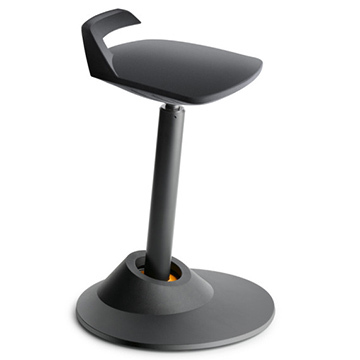 Back in Action's Sit-Stand range is worth evaluating for its appearance alone. We live in the body of a Hunter Gatherer, yet spend most of each day sitting still. Not surprisingly we experience reduced circulation. In particular our blood and lymph systems work more slowly. By alternating your work between sitting and standing your body may at first feel a little tired, but it will be encouraged to get fitter, and after a few weeks those who mix sitting and standing in a balanced way report decreased back problems, extra vitality and less illness compared to those who work purely sitting down or purely standing. First an increase in health and vitality allows you to function better (Hemingway, Dickens and Kierkegaard all had standing desks), second, the ease with which one can move while standing means some tasks are performed more quickly. 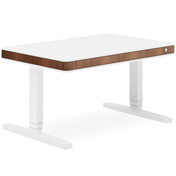 (try the simple task of assembling and posting a letter sitting vs. standing). Our body is designed for variety and movement. When we sit all day, even in a Back in Action chair, our calorie burn is lower. At Back in Action almost all our chairs increase activity and burn more calories by an estimated 20% which leads to increased fitness and alertness. Add the extra calories used by active sit stand work and you'll be fitter and slimmer ( if your calorie intake stays the same.) Of course, you may not like to lose weight, in which case you could always go for the extra bun! 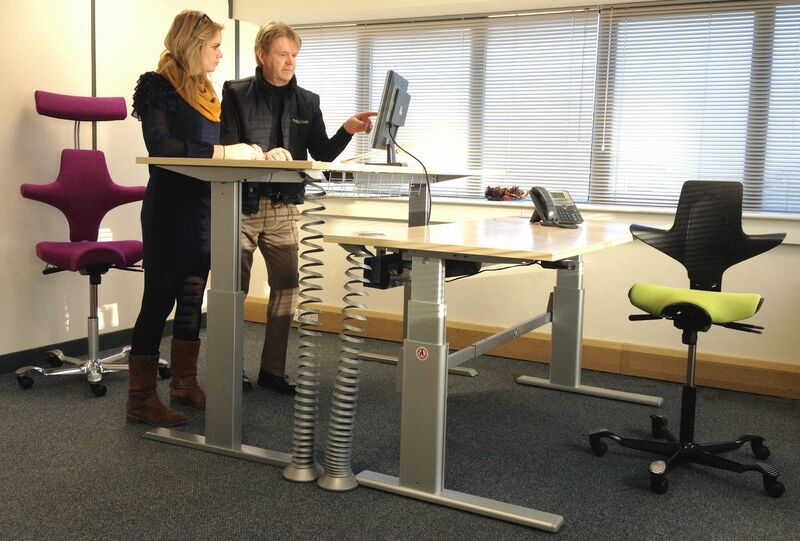 After trials at our Amersham shop we have installed Sit Stand workstations for all Back in Action staff. We have also installed these systems in home and commercial offices, with exceptional user reaction.